Banana Milkshake by Frosty Shakes features freshly sliced bananas with creamy milk boasting the same quality you’d expect from Dr Frost himself. 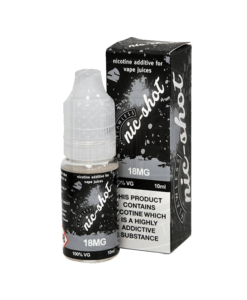 Available in a 25ml & 100ml short fill so you can add your own nicotine. A real treat to the buds great banana taste and the creamy milk with a little cooling makes this on ur must buy list.